Hand made glass vase with a beautiful blue ombre color. 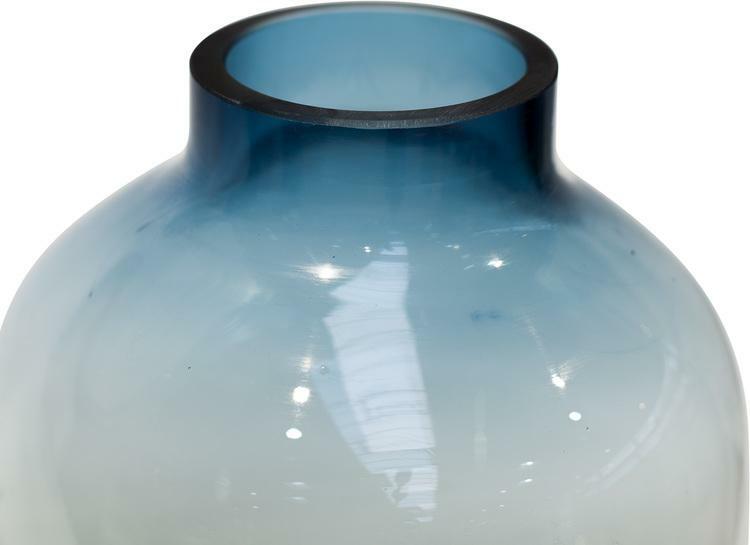 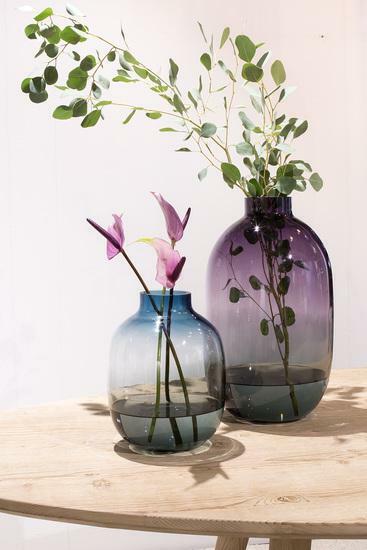 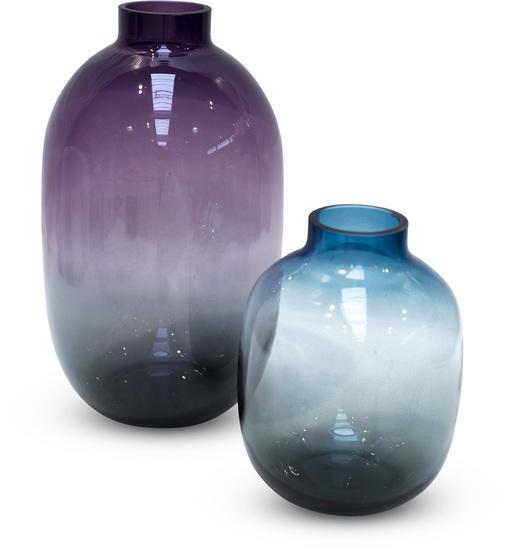 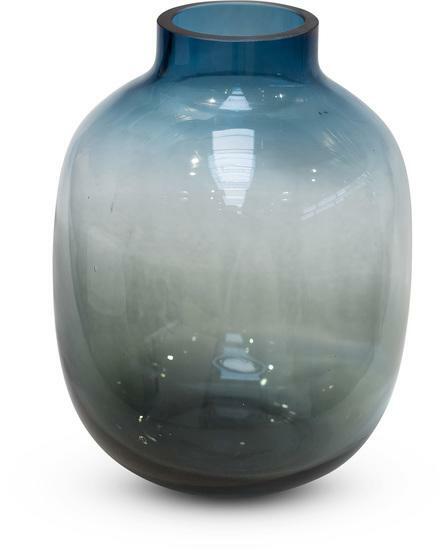 The hand blown, thick-walled glass vase convinces with its organic shape accentuated by the noble ombre color. 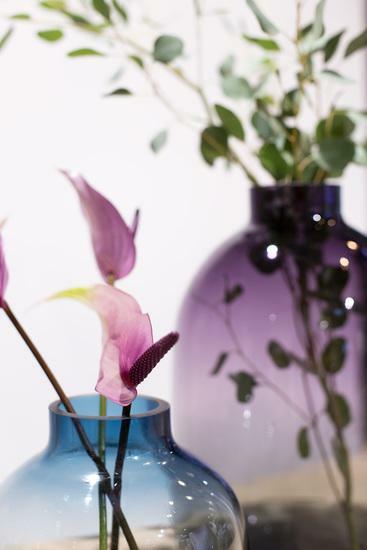 The smoothly polished underlines the beautiful design and makes the vase a real eye catcher - even without any decoration.